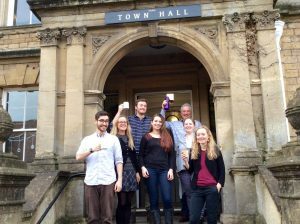 On 13th December 2017 Frome Town Council unanimously agreed to become a ‘single-use’ plastic-free council. 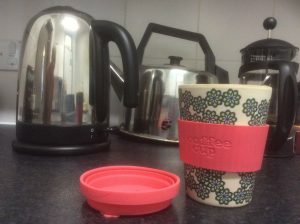 This will be done by phasing out the use of unrecyclable single-use plastic products in all council activities by April 2018. The Council will also encourage facility users and local organisations to do the same by promoting alternatives and organising a bulk buy. Already several cafes in the town including: Moo and Two, Garden Cafe and the River House have agreed to phase out plastic straws, to reduce straws used and to replace plastic straws with either biodegradable or paper ones. A full list of cafes who sign up will be available soon along with a Plastic Free Guide to Frome. August 22nd 2018: 5-7pm Frome Town Hall – free workshop to make costumes from recycled plastic to wear at Frome Carnival on 22nd September. May 8th 2018, 7.30pm, Frome Town Hall – Plastic Free Frome meeting – open to anyone to plan action to reduce plastic waste in Frome. More than 70 people came to our community event to discuss and plan activities around reducing plastic waste in Frome. The notes from the workshop are below. You can also join our Facebook page and sign up to our mailing list here.